Mental health and wellbeing is an essential part of the fabric of our society. It runs through everything we do. We are all affected by it and we are all responsible for it. In 2014 the NSW Mental Health Commission presented a 10 year strategic plan for mental health in NSW to the NSW Government which sets a new direction and makes mental health everyone’s business. “Mental health and wellbeing is everyone’s business and responsibility. And that doesn’t just mean everyone in the health sector.”- NSW Mental Health Commissioner John Feneley. For most of us, most of the time, our lives centre on our own activities, thoughts and feelings, and on our interactions with parents, partners and children, friends and neighbours, employers and colleagues, and those who share our interests. Our work, community and family lives are full of richness and texture, and they support and sustain us, just as the people in our lives draw on our strength and experience. This is as true for those of us who live with mental illness. In Australia about 1 in 2 adults will be affected by mental illness in their lifetime; and 1 in 5 Australians experience mental illness in one year. In short, about half of Australian adults will be impacted by mental illness and need timely care and support available to them in whatever form best meets their needs. for the purpose of monitoring, reviewing and improving the NSW mental health system. 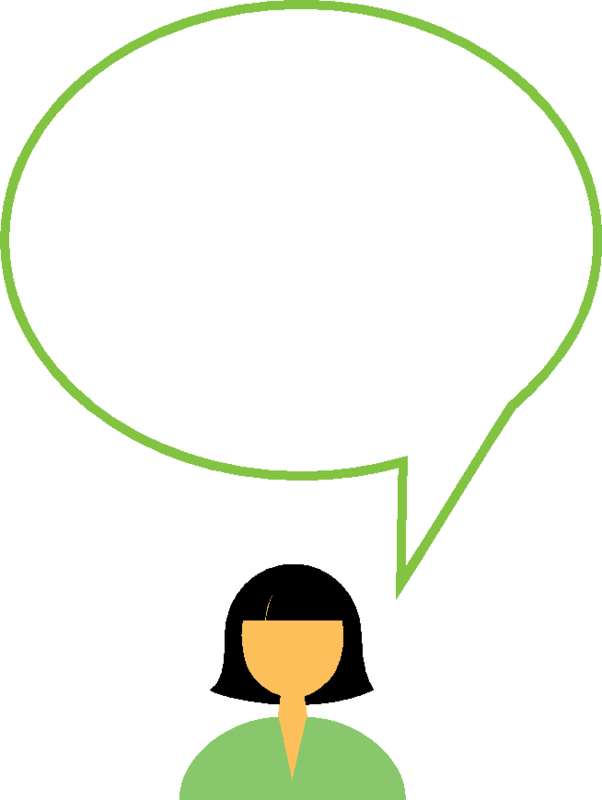 During 2013 the NSW Mental Health Commission undertook the most extensive consultation in mental health across NSW. Hearing from, listening to and speaking with more than 2,000 people across the state to understand the needs of people living with a mental illness and how those caring for, working with and providing services to, can support them best to lead rich and fulfilling lives. 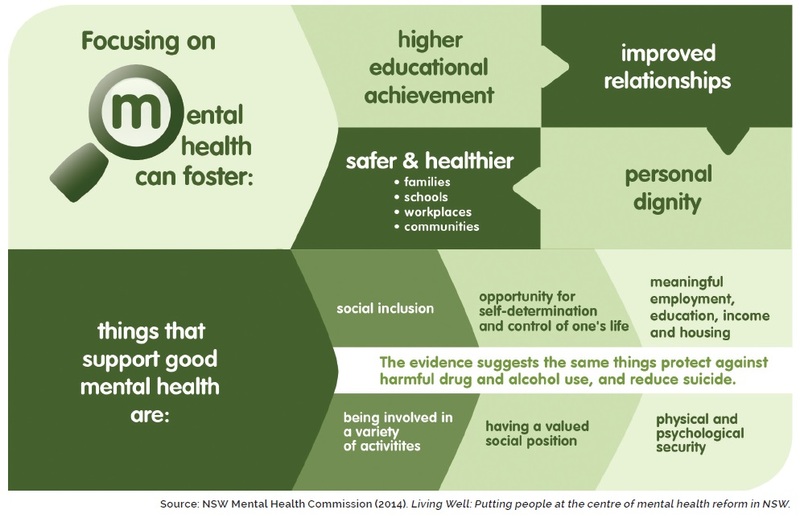 Following the year-long consultation the NSW Mental Health Commission created a Plan Living Well: A Strategic Plan for Mental Health in NSW 2014–2024, for the NSW Government which was well received and accepted. Released in December 2014, The Plan, sets out a 10 year vision for better mental health and wellbeing, and includes 141 actions that together will create a strong platform for better mental health and wellbeing for everyone in NSW. Mental health in the 2013-2014 financial year accounted for $1.45bn out of a total NSW Health budget of $17.9bn or about 8% of total spending. This does not include costs in other government agencies, such as the justice system and corrective services. The Department of Family and Community Services calculates 31% of its clients are affected by mental illness. The cost of providing services to these clients is estimated at $1.8bn a year. Just under half of NSW’s 10,000 prison inmates in 2009 reported having been assessed or treated for a mental health problem. NSW Police attend about 100 mental health-related incidents every day, about 2% of total police activity. NSW Police will provide mental health intervention training for 10% of all operational police by the end of 2015, to improve their response to people experiencing mental distress. Total housing costs associated with mental illness have not been calculated, but NSW allocated $118m to the Housing Accommodation and Support Initiative (HASI) alone, between 2007 and 2011. More than 1,000 packages of care are being provided under this program. Schools are recognised as important locations for addressing student wellbeing, because of their reach and familiarity to students and families, and the opportunities they afford for mental health promotion and prevention. In 2011, the Department of Education and Communities employed nearly 800 full-time school counsellors and district guidance officers. “It is hard to think of a NSW government agency that does not have a material interest in working to improve our response to mental illness,” said Mr Feneley. “An effective mental health system requires a co-ordinated and integrated approach across all levels of government and the community-managed organisations responsible for health, housing, employment, education and justice. Which is why one of the most important aspects of the Plan is that it is a whole-of-government plan with a whole-of-community focus,” said Mr Feneley. NSW has the second lowest per capita spending in Australia on support for people who experience mental illness, and we spend a higher proportion of that budget on inpatient beds. But it is known that hospital care is more costly and, in most circumstances, less effective or no more effective than care offered by community based teams. A balanced approach to mental health care sees the community as the key place where services are provided, with hospitals playing an important role as a back-up. Other states are already spending more on services designed to keep people healthy and out of hospital. NSW needs to create easier pathways for people to get the care they need much earlier, so they do not become acutely unwell. The Plan does not dictate what needs to be done in each area because a one size fits all solutions does not work. Rather it identifies the areas that need change and allows individuals, communities and organisations to develop solutions specific to their needs. The following actions have been identified as pillars that all sectors, at all levels can start implementing to achieve change across the mental health sector. Within the NSW Government, the Plan focuses on a number of key agencies including NSW Health, Family and Community Services, Education and Communities and Justice. But all government agencies will need to consider whether their services impact on people who experience mental illness and how they manage mental health and wellbeing in their workplace. Local government also plays a vital role. The Plan also acknowledges community-managed organisations, general practitioners, private psychiatrists, psychologists, nurses and allied health professionals. In a state the size of NSW there is no onesize-fits-all solution. We must empower local agencies and related services to work together to plan delivery of services around local needs. We also need to better recognise the particular strength of Aboriginal healing through culture and strengthen partnerships between Aboriginal communities and service providers. The NSW Government is already making changes that will support stronger local responses. The NSW 2021 plan has promoted regional development plans and cross-government initiatives to facilitate alliances and actions. A number of these have already made mental health a priority and have projects under way. Signs of vulnerability to mental health issues are often clear by the time a child turns six, with patterns of drug and alcohol misuse and eating disorders commonly starting in adolescence and half of all mental illnesses manifesting before age 14, and three quarters by age 25. The individual, social and economic costs of mental illness are immense, so promoting mental health and wellbeing early makes good sense. This includes providing individuals with the tools they need to care for themselves and building supports across the community, including in the workplace. For long lasting change we must start early by improving the supports available for vulnerable children and their families. A lot is gained from listening to the concerns of people living with mental illness and their families and carers and we need to routinely include them in service design. The benefits of designing services in collaboration with consumers, families and carers, whether housing, health or other human services often results in services and staff developing a better understanding of mental illness and of working towards recovery. Hospital-based mental health care is one part of a good mental health system, but it should be a backup used on rare occasions when community-based support is not available. This approach is consistent with our human rights obligations and the NSW 2021 goal of keeping people out of hospital and well in the community. Under The Plan, community-based care and support will become the focus of the mental health system. This will necessitate the need for other changes like those below. Services across government should respond in a therapeutic and integrated way to meet the needs of people who experience mental illness. This approach improves their physical and mental health, helps in their recovery, and saves money. Recognition of the needs of people from culturally and linguistically diverse communities, people who are lesbian, gay, bisexual, transgender or intersex, and people with an intellectual disability. Investment in the right type of workforce to meet demand in the community and in hospitals. This includes investing in the peer workforce and those working in community-managed organisations, as well as the specialist clinical workforce. Resources appropriately and transparently directed for change to take place.